Avery Hartmans/Business InsiderInstagram CEO Kevin Systrom, left, and cofounder Mike Krieger at the unveiling of Instagram’s New York headquarters. 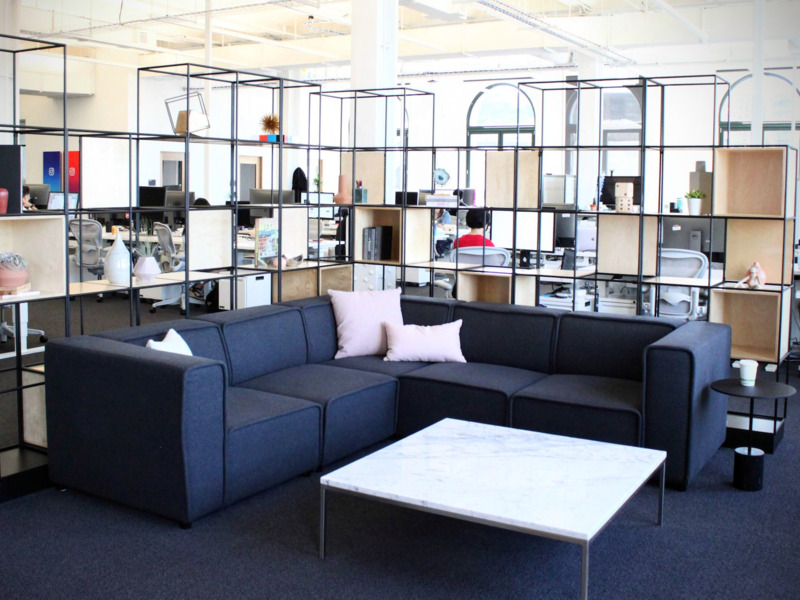 Stepping inside Instagram’s brand-new New York City headquarters is like walking into a perfectly curated Instagram feed. 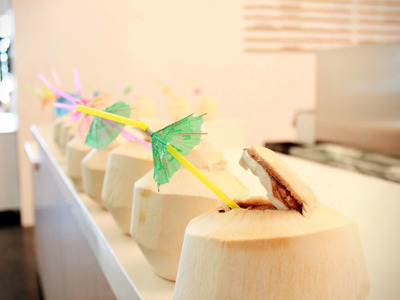 There’s the pastel-coloured juice and gelato bar where you can get a fruity beverage served in a coconut, complete with an umbrella. 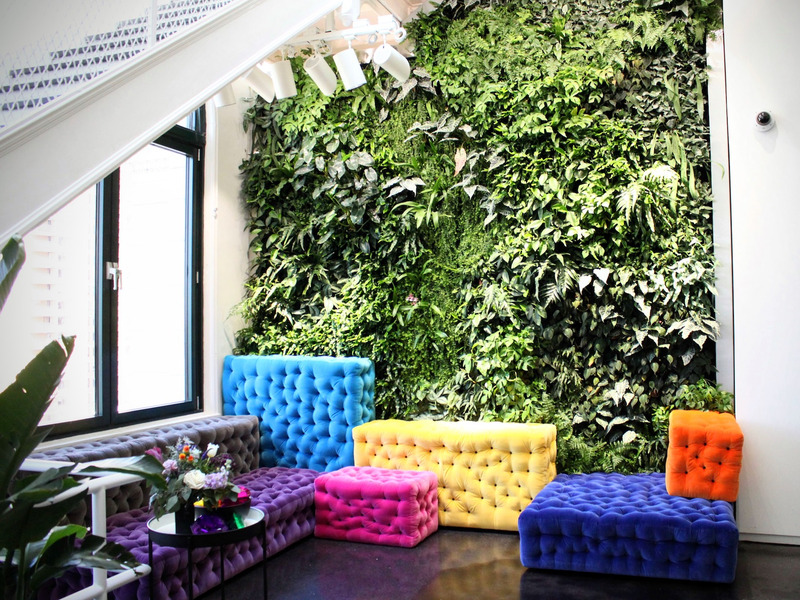 There’s a living wall that stretches up to the second story where you can recline on a brightly coloured pouf and gaze out the large windows overlooking downtown Manhattan. 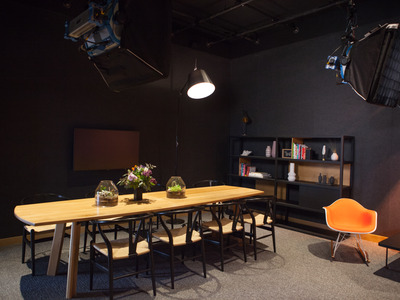 Or you can visit the library, a quiet, mid-century modern haven for reading and relaxing. 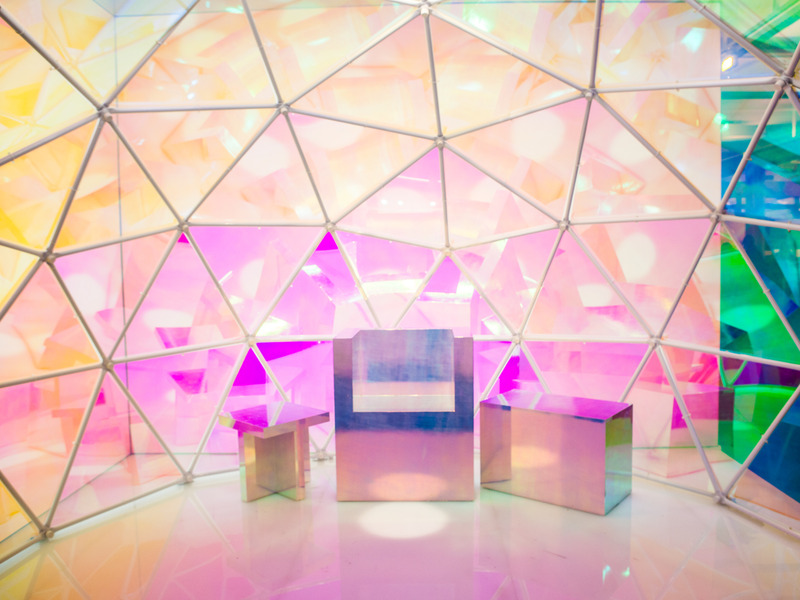 In short, Instagram’s new headquarters are incredibly … Instagrammable. Instagram worked with architecture firm Gehry Partners to create its new headquarters. 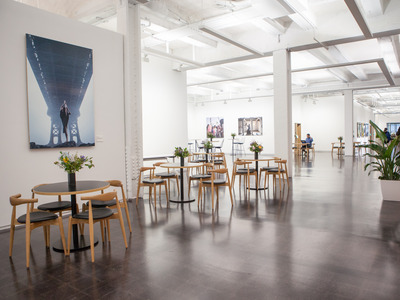 The space used to house Wanamaker’s department store. When you first arrive, you’re greeted by a huge digital greeting wall. The screens change constantly to display photos from Instagram users. When Instagram first opened its NYC office in 2015, it had three employees working there at the time. Now, Instagram expects to have 350 people there by the end of the year. 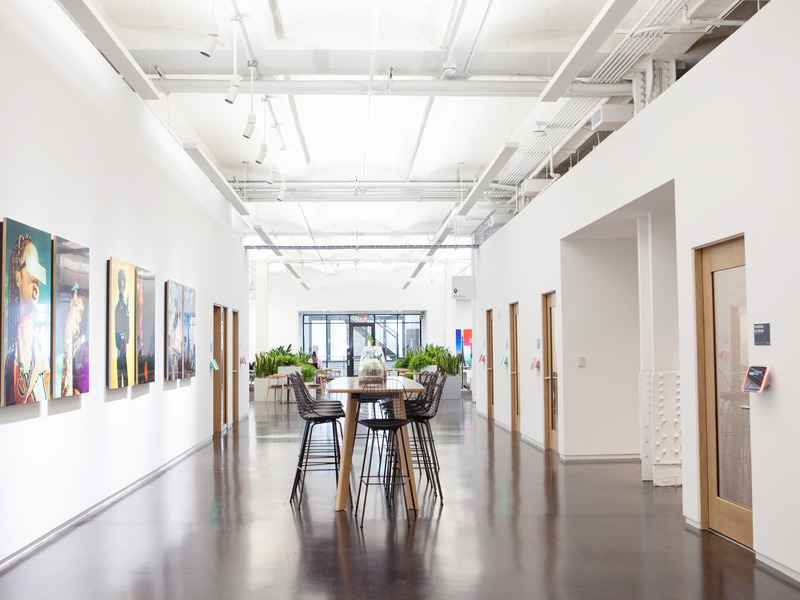 More than a third of Instagram’s engineering team will be based in New York by the end of 2018. Visitors to Instagram HQ have the option to snap a photo inside this colourful dome. The furniture inside is modular and can be moved around so you can capture your shot. Instagram’s kitchen is stocked with coffee and tea, and has refrigerators full of juice, flavored water, pop, and Gatorade. 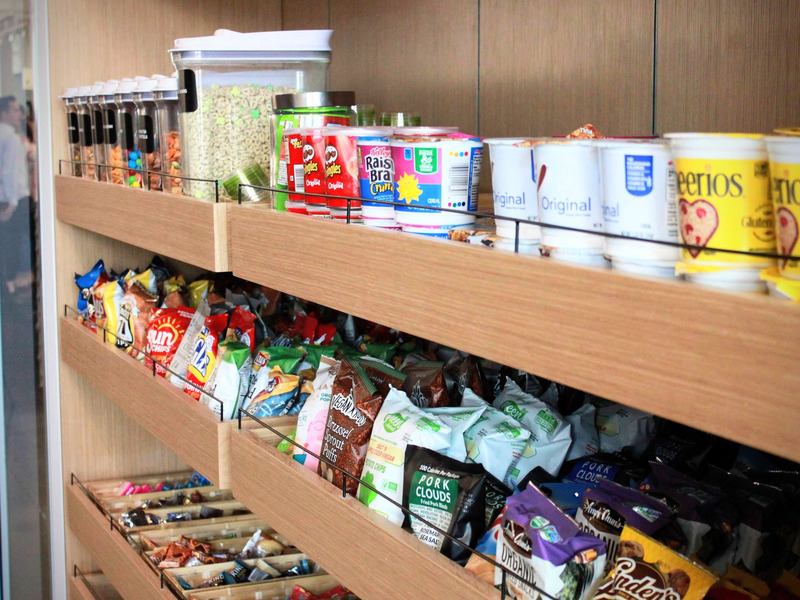 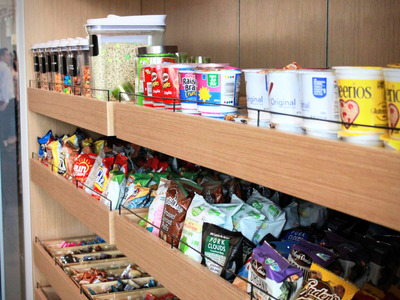 Instagram employees can also grab healthy snacks and cereal. 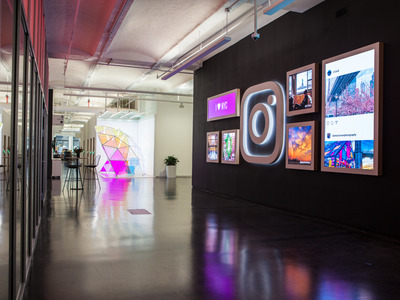 Instagram plans to feature rotating photography exhibits in its central atrium. 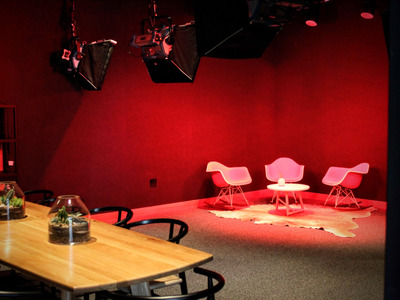 The space is also used for speaker series and company gatherings. 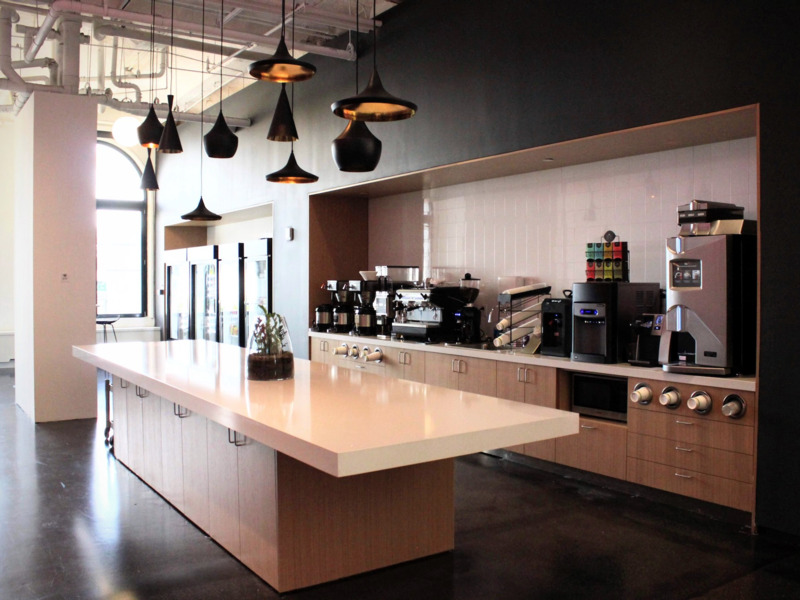 The office has its own bar, called the Thirsty Flamingo. 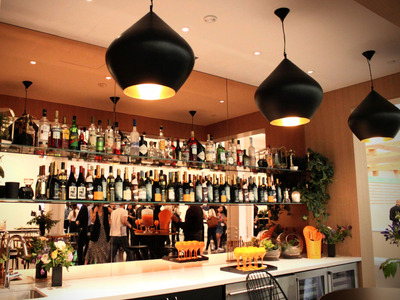 The bar is stocked with beer, wine, and liquor, and employees can serve themselves. 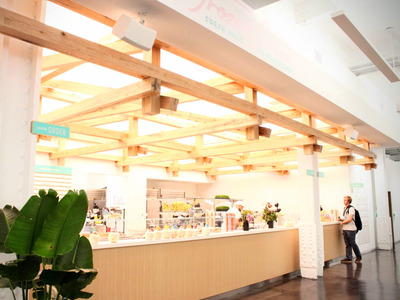 Or, employees can visit the Frozen Palm, a juice and gelato bar. The Frozen Palm serves 18 flavours or smoothies and juices, which are made to order. 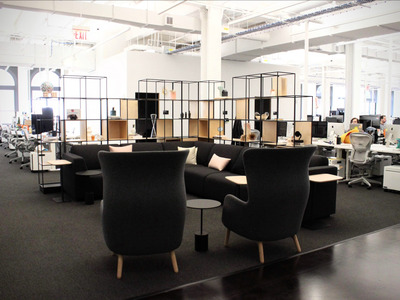 They even have names inspired by Instagram filters, like Gingham and X-Pro II. 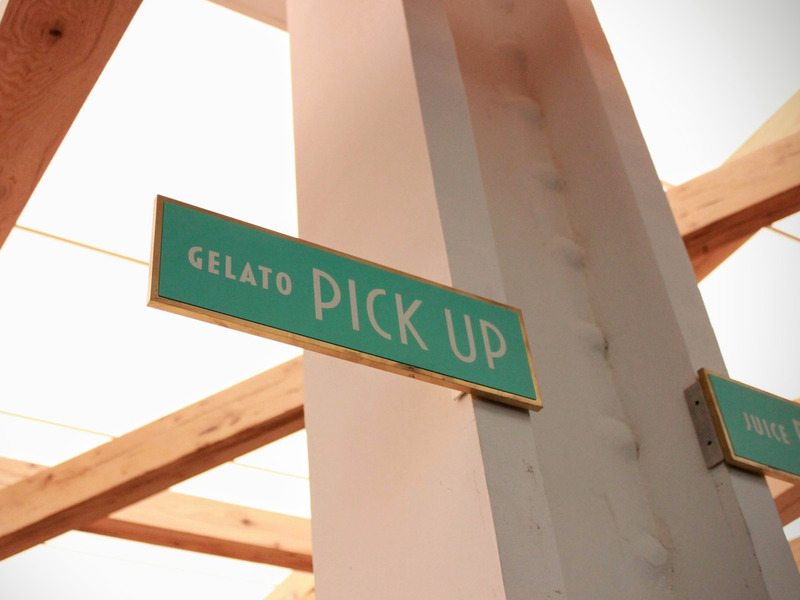 You can also grab a gelato in one of more than 20 flavours. 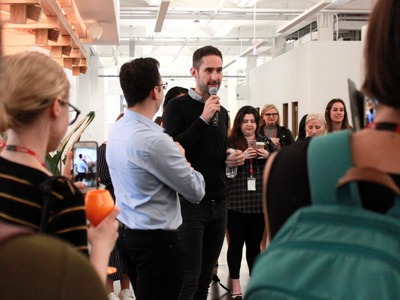 Instagram CEO Kevin Systrom said employees have started keeping track of how many days in a row they have eaten gelato. In the corner of the office, a living plant wall stretches up two floors. 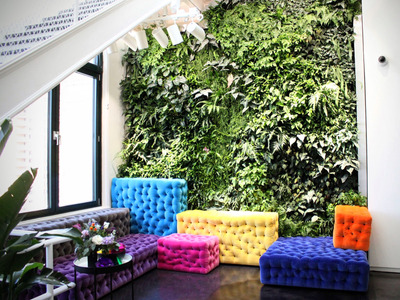 The area has several colourful poufs to lounge on. 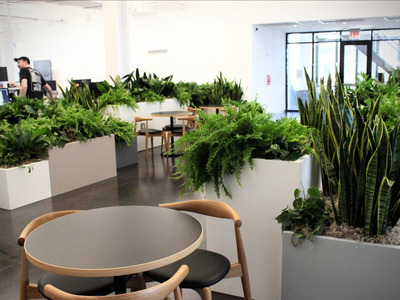 There are also plants scattered elsewhere throughout the office. 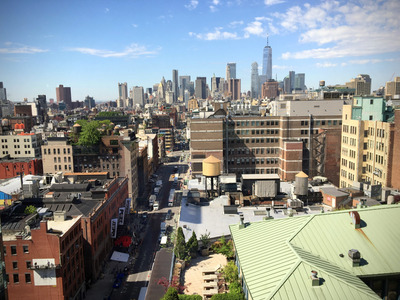 Here’s the view out of one of Instagram’s office windows. 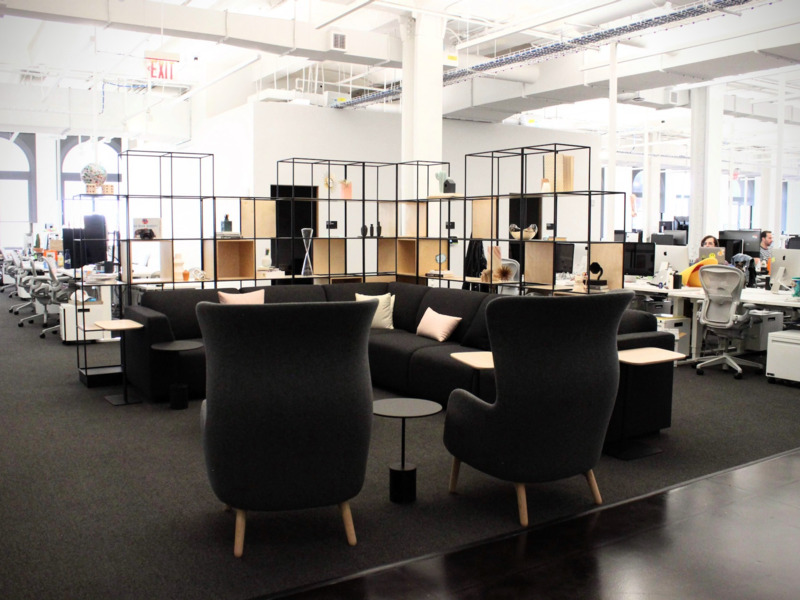 … or to take impromptu meetings. 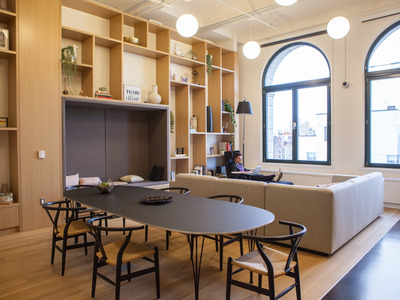 … and, for those times when you just need a little bit of quiet, a library stocked with comfortable seating.